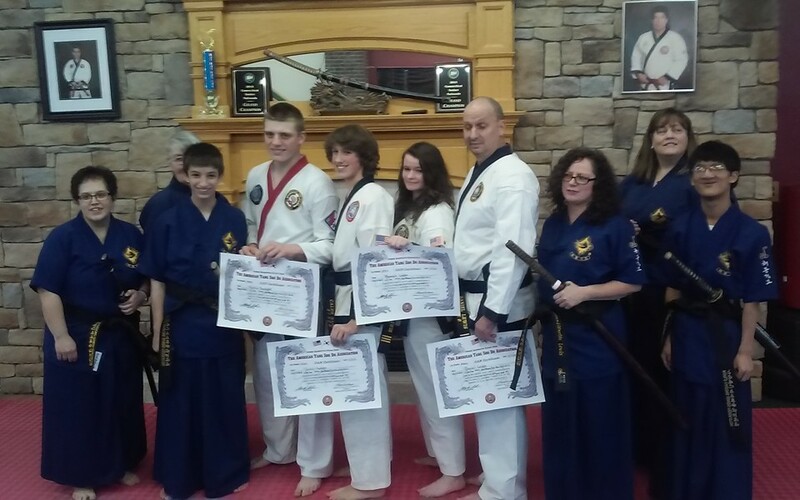 Four Tang Soo Do students were promoted on Friday night. 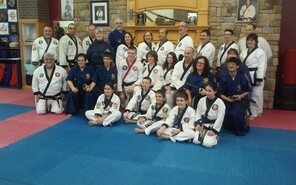 Mr. Caleb Rahner , Mr. Dan Lewis and Ms. Hannah Lewis were promoted 3rd Dan. Mr. Austin Bennett was promoted to 1st Dan. Six Haidong practioners were also recognized for their black belt retests and promotion in to the World Haidong organization.